Power Pop Rock – Life as a photographer and loving this new life! Life as a photographer and loving this new life! 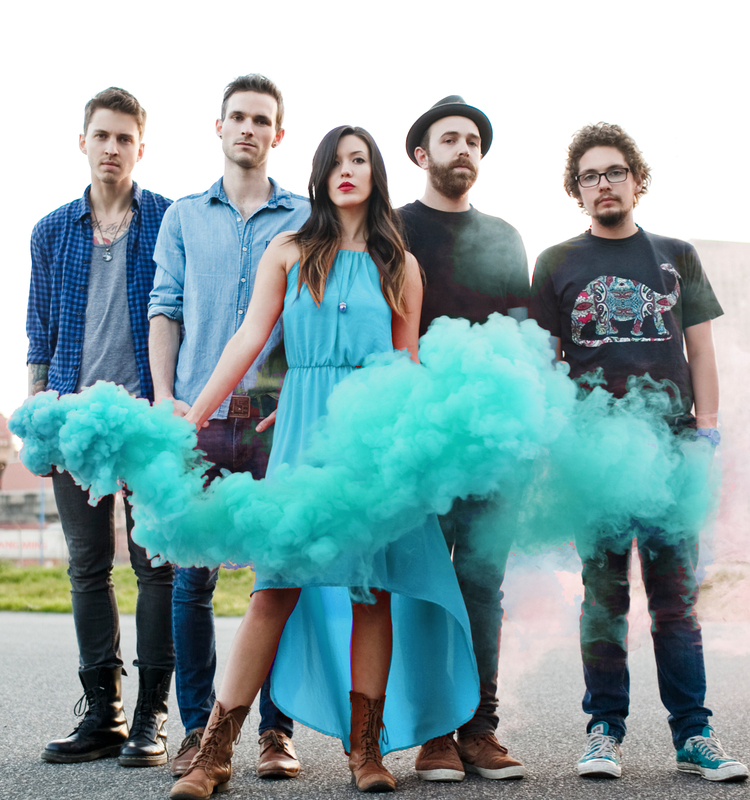 Vancouver band Said The Whale released their newest CD, HAWAII, in September 2013 on Hidden Pony Records. 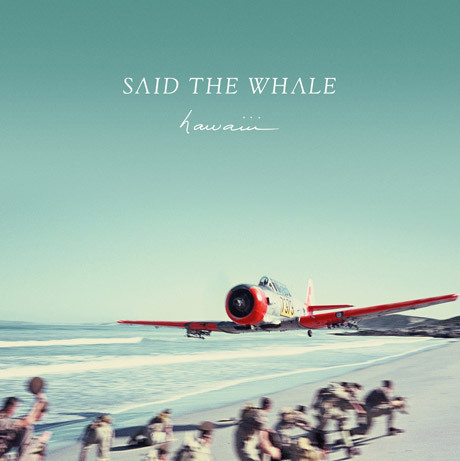 They’ve definitely come a long way since their debut EP in 2007 called Taking Abalonia, which was re-released in 2008 with seven new songs and called Howe Sounds/Taking Abaonia. Ben Worcester (guitars/vox) and Tyler Bancroft (guitars/vox) started the band back in 2006 with Laura Smith (on keyboards in 2007) and Jeff LaForge (on bass in 2007-2008). Laura and Jeff were replaced by Colin Dodds on keyboards (2008) and Peter Carruthers on bass (2009-2011). Colin was replaced by Jaycelyn Brown (keyboards) in 2008 and Nathan Shaw (bass) replaced Peter in 2011. And all during the band replacements, they put out some quality work: The Magician EP (2009) was released to build up momentum before they released a full CD, Islands Disappear (2009). In 2011, they released the New Brighton EP followed by a full CD in 2012 entitled Little Mountain. In November of 2010, they placed 2nd for the Peak Performance Project (a radio station here in Vancouver; 102.7 The Peak) and won $75,000.00! In the spring of 2011, they toured across the USA, taking a CBC film crew with them (CBC Canada filmed a documentary on the band called Winning America). They also played SXSW in Austin TX which was a highlight of their tour. Upon returning to Canada, they were nominated for a Juno Award: New Group of the Year (for 2011) which they won in 2012! The CD opens with the song “More Than This” which is a slow piano based song at just 1:24. I think this song sets the listener up for a musical adventure, or so it seems to me. It’s got a “get ready for this” feeling. Their harmonization is emphasized very clearly. “Mother” is upbeat with a pleasant melody that flows well and is utilized by all members of the band. The vocals are balanced, clear and slightly pensive. Thinking about some personal habits that may be a bit shady, this song speaks of don’t tell a mother about some of the crazy things that her child does. The song starts out bare bones but by the end of the song, everyone is on the same page and playing strongly. “Narrows” is a song that is mostly in a minor key and speaks of fishing for ________. The listener can fill in the blank because the song lyrics are written in a general term that anyone can understand and relate to. That’s one of the main reasons I like this band – the way they write music. It makes you think. With lyrics like “And with all my heart left to faith/I cast my luck into the water and I pray/for all my scars and my intuition/To see me through this/I’ve never been fishing like this before”. “I Love You” is a favourite here in Vancouver. This song was on heavy rotation on the radio and rightly so. It combines sane music until the song goes into the chorus which then becomes an insanely musical mash up. I like the subtle time changes from the verse to chorus and vice-versa. Lyrically, the word “love” is used in a more sibling/friendship kind of way in the verses: “When I learned that I had a brother/I made up a dance for you/We’d be crime fighters together/and do things that brothers do” and “When I learned I had a sister/I pretended to hate her/I’d seen it on TV/I knew exactly what to do”. “Willow” has an interesting time signature musically that I like the sound of. The drums are prominent in the verses but they even out with the other members for the chorus. Within this song are really two songs – the middle part of the song sounds completely different than the beginning and end. Lyrically, the song speaks of starting and ending a relationship. With lyrics like “You And I/We found each other at the strangest time/When all we wanted was a piece of light/And something real just to hold on tight/And now I’ll never let you go” and “I gave you all I had to give/And still I feel like its a risk/Telling ourselves that this will be forever/Willow won’t you give me your heart”, it’s clear that some things just don’t work out the way you might have envisioned them to. “Oh K, Okay” is a song that I really like. Musically it’s very bare bones but has a good melody which is consistent through the song. Lyrically, it speaks of meeting someone and hitting it off immediately which leads to a relationship. I like these verses the best: “I’d never met a girl who thinks the way that I do/About the better things/Like the reflection of the moon/Or the mortality of fire/And the distance of a star and us/Oh K, oh K, oh K” and “I lay my thoughts upon you in the dark/I lay beside you and listen to your heart beat/Rippling the water on the lake and the stars/Night sky, bright sparks/Oh K, oh K, oh K”. Sharing something with another person is an awesome experience be it in love, life or just because. Some of the reasons why I like this band is because they write original songs, they have quirky music and a lot of fun – onstage and off. They’re a high energy band who may look laid back but the wheels are always spinning and looking towards the future. I highly recommend this CD to add to your collection. It’ll fit nicely between The Zolas, Mother Mother and Hey Ocean! You can listen to the music and check out the lyrics on their website that I’ve linked in the first sentence of this article. You can check out the band in various locations through a Google search. They’re on Twitter, Facebook, etc. Please share this post to everyone you know by clicking buttons below. Copyrights all to JadedPhotography. The band is looking forward to expanding its horizons on the road as a four-piece with new drummer Steve Molella. 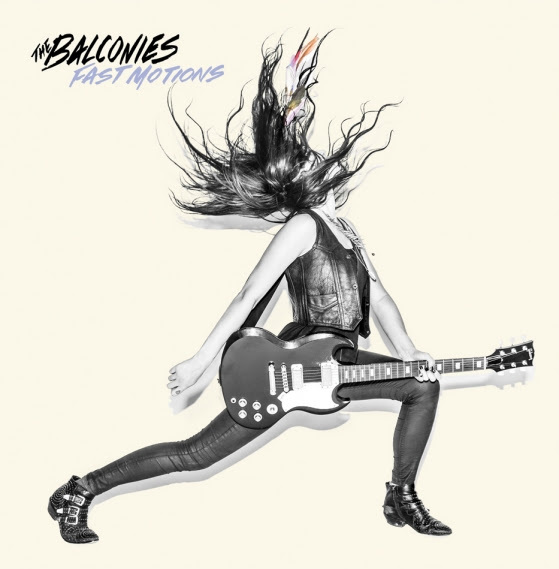 The Balconies aren’t satisfied standing still – they’re ready to do it bigger and better in support of their new CD Fast Motions. Recorded by legendary producer Arnold Lanni (Finger Eleven, Simple Plan, Our Lady Peace), Fast Motions is evidence of why The Balconies are one of Canada’s best new rock and roll acts. With lead single “The Slo” released earlier this year and receiving heavy rotation across Canada and the UK (plus a featured performance by the band on CBC Television police drama ‘Cracked’), they have a lot to live up to. The band does not disappoint – their trademark brand of visceral rock courses through Fast Motions. Sweaty, grinding rhythms have never felt this good – Jacquie’s explosive vocals and furious fretwork, Liam’s cascading atmospheric waves, Stephen’s thick, driving bass lines, and Steve’s quaking rhythms are set to seek and destroy. Upon listening to this CD for the first time, one thing is evident – this band has the potential to become a huge success. Beloved in their grass roots of Ottawa and their adopted home of Toronto, they follow bands like Metric, Mother Mother and The Belle Game to name a few, into commercial success not only here in Canada but all over the world. Starting out with the high energy “Boys and Girls” this song is catchy, has a great hook and has a flowing melody through the entire life of the song at 3:39. This song has great harmonies as well, and is so damn likeable that I’m dancing mentally with the band. Musically, this song is a great opener. It sets the pace for the rest of the songs. Lyrically, I find that its a current description of people in general. Boys and girls. Get up and get into the song! It’s almost like an anthem. “I Know You’re Right” is another high energy song that speaks of life on the road as a touring band. It has a soft melody at its core but the band builds up the music to a frantic pace and brings it back down again, crashing into a finale. This song is as good as it gets for this reviewer. Jumping ahead to the song that brought The Balconies into the forefront, “The Slo” is disjointed, crazy and out of tune in spots – a perfect frenzy if that’s possible within a song. Jacquie’s vocals are piercing in a pleading kind of way, expressing emotions that belong behind closed doors, giving it some kind of mystique. Heavy guitars in minor keys give the song a foreboding feeling. It’s no wonder this song exploded and the band became known by this song. Very well done! The last song “Let Me Go” is a total departure from the rest of the songs on the CD. It’s slow, seductive and haunting. No pounding drums or guitars are evident on this song but there is great harmony with the keyboards and Jacquie’s emotionally strained vocals. Mostly in minor keys the song slowly fades into nothing as the CD comes to an end. I have to say that this is a body of work that hopefully will be short listed to win the Polaris Prize. This CD is filled with frenzied emotion, heady music played extremely well and really good harmonies and melodies. The CD is well crafted and recorded by Arnold Lanni who puts his mark on this promising band. Video – The Balconies – The Slo. 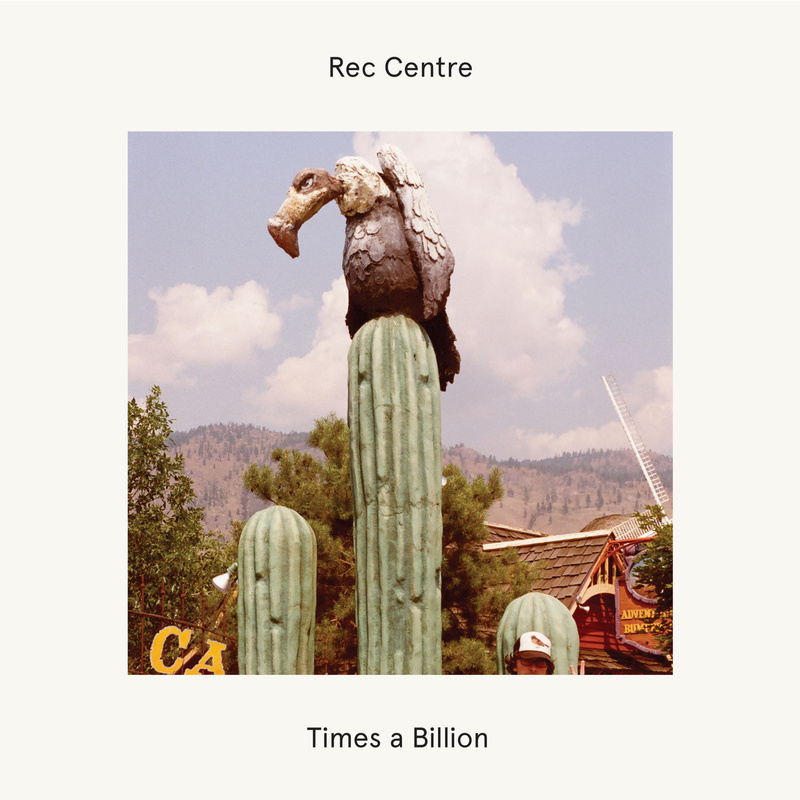 Rec Centre is a Vancouver experimental musician Alex Hudson whose collaboration with bassist Jay Arner has resulted into a full blown partnership and a new collection of pop/indie pop/power rock pop songs with a little shoegaze in there just for good measures. A few years ago, I had the pleasure of reviewing Rec Centre’s Long Weekend EP on January 2, 2011 and you can find the article here. This collection of music was recorded at The Hive and Tonehenge in Vancouver by Alex Hudson and Jay Arner. They also called upon Robbie Nall (bass) and Rose Melberg (backing vocals). The songs were mixed by Jay Arner and mastered by Timothy Stollenwerk. Starting out with the song “Missin’ Out” is an upbeat happy song musically that has some good vocal work by Alex. A busy lifestyle is understood by all in this day and age. A couple experience one or the other missing out on certain events in each others’ lives which can cause friction and fights. A likeable song with a good melody! “It Won’t Mean Anything” is an 80’s inspired song musically. Synths and low guitars with vocals and a slow kick drum. Perfect! Lyrically, this could be about anything that you obsess over and then the next day, it really didn’t mean anything and it’s gone. One night stands, a perfect show, meeting a certain person; all these could be what the lyrics mean in some sense. I also sense a bit of reggae in the music. This is a good song to listen to and to chill out to. “Let’s Get Divorced!” is a song that reminds me of surf music but at a slower pace. I like the sound, it makes me want to get up and do some dancing. The chorus is slightly out of key to the rest of the song but it works well within the structure of the entire song. “Spray Tan” is a 1:43 song that is an instrumental that reminds me of Duran Duran back in the day. Having just seen a recent video of a 1985 concert it’s apparent that the 80’s sound is still kicking around in some songs. Love it! All of the songs on this full CD are good, solid and likeable. A few are dance-able, some are happy and some are sad. A good collection of songs for fans of 80’s new wave bands and dance pop music. You can find the band on their BANDCAMP site for all your musical browsing. Jaded Photography by Jade Sperry is licensed under a Creative Commons Attribution-NoDerivs 3.0 Unported License.